Being involved in a car accident or road catastrophe is not only stressful but traumatic as well. Regardless of whose fault it was, the important thing is to remain calm and composed and realized that you can and will get through this situation. By being aware and following post-accident procedures, you’ll not only feel better about the situation but, you’ll be better able to prepare for court if the need arises. If you haven’t experienced significant injury, move your vehicle to a safer place, preferably to the side of the road. However, if it is not possible, you could use flashing headlights, warning triangles or emergency flares to alert other drivers that your vehicle will be stationary for some time. After ensuring that your car is no longer moving, get out of the car. Take deep breaths and calm yourself. Meditate on the fact that you survived and that everything will work out for your best interest. Check to make sure that it is entirely safe to leave your vehicle before you venture out. In some instances, it may be better to stay in your car until help arrives. For example, if you’re on an expressway and can’t navigate safely, then you should remain inside your vehicle. Check on individuals that were involved. Was anyone hurt? Is one party or both parties injuries? Did any passengers, pedestrians or drivers receive minor or major injuries? If anyone is seriously injured, call 911 immediately or use your Onstar device located in some vehicles. If there is a nearby hospital or health care agency, you may want to rush the injured persons there: however, it is typically advised that you seek medical support to avoid further injuries. Following the accident, you need to collect as much information as possible. This information should include the name, phone number, address, driver license number, license plate number and policy number of the driver and owner of each vehicle as well as the car details (make, model, year and condition). Be specific and jot down the details of each car that was involved. To record and document the damage done to your vehicles, use your camera. Take as many pictures as you can. Take close up and far away shots. Capture any damage as well as any street signs that might help clarify the situation. Your photos should provide a complete picture of the accident so that your Nashville attorney can advocate on your behalf and the court can rule in your favor. If there are witnesses, get their contact information as they may come to your aid later. You want to file your insurance claim as soon as possible. Some insurance agencies enable a filing of the claim right at the scene of the accident, either through the Internet or your smartphone. A personal injury attorney understands the intricacies of the law and can help you win a personal injury case. Hiring a Nashville personal injury attorney will help you prove fault and enables you to capitalize on their expertise to arrive at a high insurance settlement. Like most personal injury lawyers, a Nashville personal injury lawyer works on a contingency basis. That is, they receive compensation only when you succeed in getting an insurance settlement. This payment structure motivates them to settle your claim speedily and prevents you from incurring excessive legal fees. Having an attorney representing you indicates that you are prepared to go to trial if necessary. Legal representation motivates insurance companies to go for an equitable settlement instead of taking it to court. 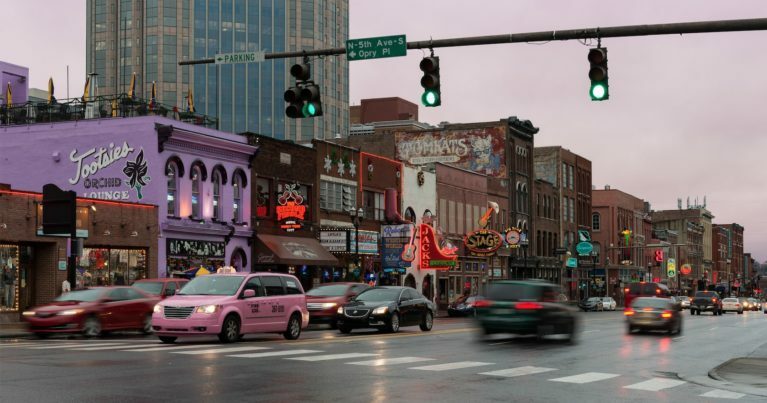 In conclusion, if you’re involved in a car accident in Nashville, Tennessee, you are not alone. Many individuals experience accidents on a regular basis, and some of these lead to death or severe injury. If you or a loved one is involved in an accident, remain calm and collect as much information as you can about the incident. By gathering evidence, you can help your Nashville attorney win your case or lessen the financial burden if you were at fault.